Leoxsys (11n) 150 Mbps Nano WiFi USB Wireless Adapter (LEO-NANO150N) is very good wireless WIFI device at a very low price. If WIFI is not available on your laptop or desktop computer, so Leoxsys (11n) WiFi adapter can be turned your computer system into WIFI station. It is a small portable WIFI Adapter, so you can take it anywhere with ease. With it you can connect to a WiFi hotspot device and your computer can use the mobile broadband (4G, 3G or 2g) Internet. Eg – Other Computers, smartphone, tablet etc. Or you can also share your PC broadband internet to other WIFI Devices. As in my previous post, i explained that How to Share D-Link DWP-157 21mbps internet connection through WiFi. In which I was shown by Internet Wirelessly share with the D-Link’s DWP-157 device. To share the wireless internet, I was used Leoxsys (11n) 150 Mbps Nano adapter. In this post, I will tell you how you can share your PC Internet via Leoxsys (11n) 150 Mbps adapter. Also Check: How to Convert a non-WiFi PC to WiFi powered in a very Cheap price. How to share your PC internet network with Leoxsys (11n) 150 Mbps Nano WiFi USB Wireless Adapter internet? How to configure broadband network adapter for sharing PC internet? Before sharing your PC internet, you will need to configure Broadband network adapter. Press Windows + r key together on your keyboard. The Run dialog box will appear. type ncpa.cpl in the box then press OK.
Network Connection dialog box will appear. now right click on the adapter, which you want to share then choose properties. The Network Properties dialog box will appear then click on Sharing tab. In sharing tick the Allow other network Users to connect through this Computer’s Internet connection check box. Choose your home networking connection as Wireless Network Connection or something else from the drop-down list. after this click on OK to save the settings. How to Share D-Link DWP-157 21mbps internet connection through WiFi. Start Leoxsys 150 Mbps Nano WiFi USB Wireless LAN Utility, You will see main Station mode screen. You will see “Virtual WIFI” Tab click on this. After this tick the “Start Virtual WIFI Soft AP” Checkbox. Now tick the “Setting Internet Connection Sharing (ICS)” Checkbox. Click on Config to configure the wireless network. Now Wireless Network Properties dialog box will appear. Create a new password, which you’ll remember. Enter the password in the Network Key box and then enter it again in Confirm Network Key box. Now click on the OK button to save. To start access point mode click on Mode(M) menu & then choose Access Point Option from the menu. Now Wireless Network Properties dialog box will appear. in Network Authentication drop-down list choose WPA-PSK (you can also try other but I prefer this) then create a new password, which you’ll remember. Enter the password in the Network Key and enter it again in Confirm Network Key. Now click on the OK to save the configuration. 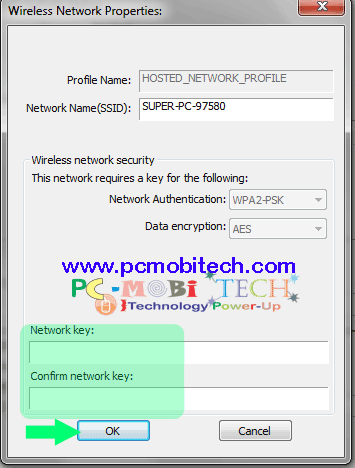 If you don’t want to create password protected WPA network or you want to share your PC internet without password as an open network which anybody can use. then in wireless network properties choose Open System option from Network Authentication dropdown list. Thanks for reading. Any problem or suggestion please leave a message in the comment box. 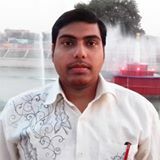 Hi, I am Dhillan from Kerala. Can you tell step by step methods to connect wirelessly my laptop to projector. Currently using HDMI cable which is damaged due to pluging and unpluging several times a day. I am planning to by miracast/anycast/chromecast device for this purpose. which is suitable for this purpose?. Without using WIFI Router how can i connect by using LEOXIS adaptor? LAPTOP>LEOXIS Adaptor>Chromecast>Projector. Is this possible?. I have uploaded the Leoxsys 150 Mbps Nano WiFi USB Wireless LAN Utility Drivers on Google Drive Download from here: Download Drivers from Google Drive After download extract the zip file and use www.pcmobitech.com as a password. Sir, i installed successfully and my broadband connection shared with my mobile. so i put it manually. i don’t have sharing tab what to do ? Which Windows version are you using and which devices internet do you want to share. I tried it with Windows 7 ultimate and it is working fine till date.